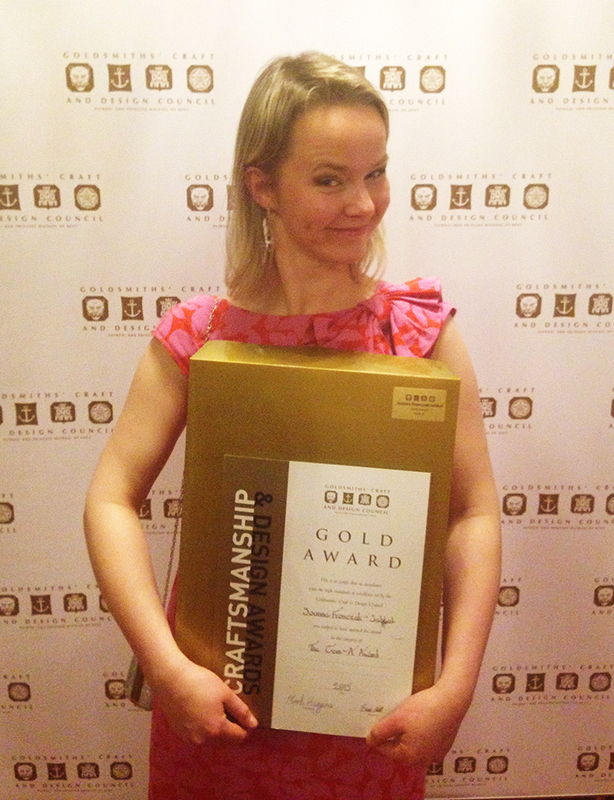 I am very happy to announce that during The Goldsmith’s Craftmanship and Design Awards Ceremony I received The Gem-A Diamond Scholarship Gold Award for a second time. I was surprised as well as honored. I had possibility to attend Diamond Practical Certificate last year thanks to my previous Award. This year I will continue my diamond education taking part in Diamond Theory course which will enable me to achieve Diamond Diploma. Award Ceremony took place traditionally in beautiful Goldsmith’s Hall in London. Congratulations to all winners! 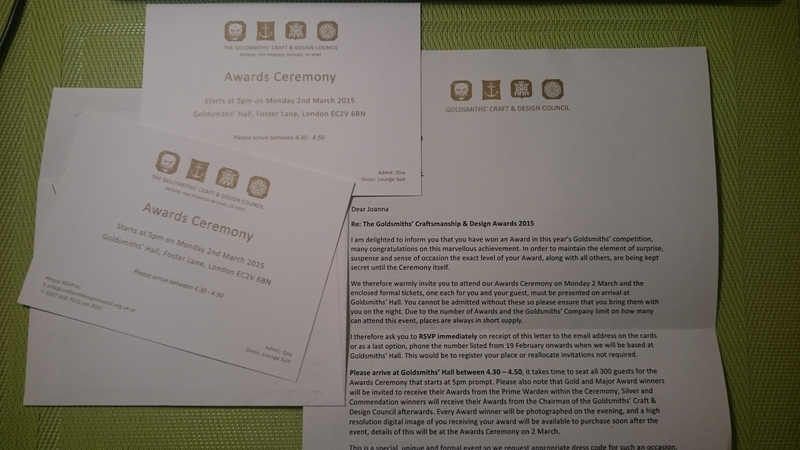 …now I can just wait for Award Ceremony which will take place in London in Goldsmiths’ Hall on 2nd of March. I’m feeling very happy and motivated to work.